We are delighted to report that Discovery Bay Football Club has won the Masters Cup in this year’s HKFC Citi Soccer Sevens! 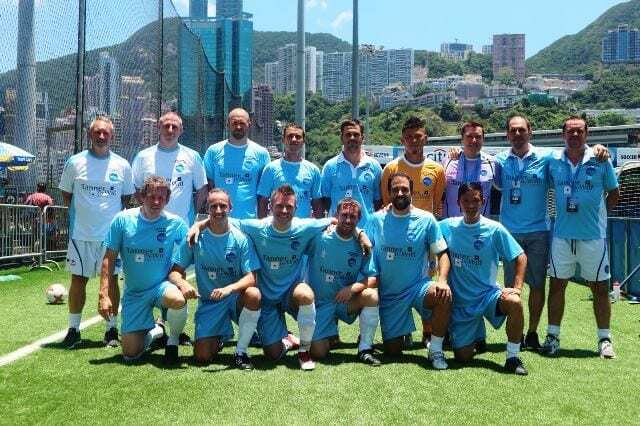 Discovery Bay Football Club played five matches over the three-day tournament against the KCC Veterans, Playon Pros, Wallsend Boys Club, HKFC Masters and Citi All Stars before finally beating the Nottingham Forest Mobsters in the Masters Cup Final. It’s the first time in the HKFC Citi Soccer Sevens’ 19-year history that a team has won without conceding a goal. 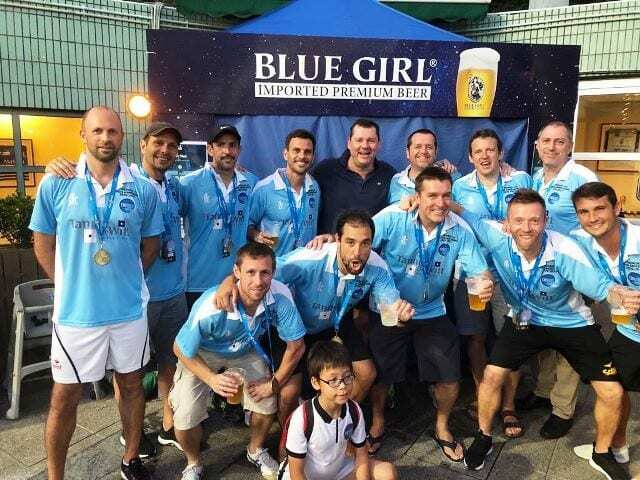 Tanner De Witt has sponsored DBFC for the past two HKFC Citi Soccer Sevens and we could not be more delighted at their win. Dirk Haddow, of DBFC, remarked that it was a “monumental weekend against all the odds, and we couldn’t have done it without Tanner De Witt’s support!” Congratulations to all the players and everyone involved! The HKFC Citi Soccer Sevens is the world’s best seven-a-side football tournament where fans can see the stars of tomorrow and some of the legends of the game in one exciting event. Held at Hong Kong Football Club every year from 1999 except in 2003, the event is divided into two tournaments. The Main Tournament is open age (players must be at least 16) and features youth and academy teams from some of the top clubs in Europe playing against more senior players from clubs and teams around the Asia-Pacific region. Aston Villa have won a record six times (2002, 2004, 2007, 2008, 2010, 2016), while Blackburn Rovers (1999), Arsenal (2001), Newcastle (2012), Leicester (2013) and Manchester City (2014) are the other English clubs to have lifted the Cup. Hong Kong clubs Kitchee (2011) and Instant Dict (2000), Japan’s Urawa Reds (2005, 2006), Scotland’s Celtic (2009) and Spain’s Atletico Madrid (2015) are the tournament’s only non-English champions. Current and former English Premier League aces Gary Cahill, Glen Johnson, Gabriel Agbonlahor, Jack Grealish, Sammy Ameobi, Anton Ferdinand, David Bentley and Marc Albrighton, plus Scotland internationals Shaun Maloney, Craig Beattie and Chris Burke, are just some of the young players who first made a name for themselves in this tournament.